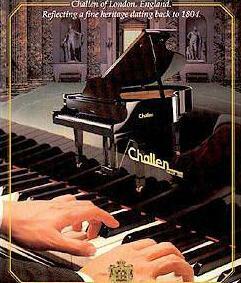 Makers of Fine Pianos Challen has been a name well-associated with the finest crafted pianos since 1804. Pianos that have graced royal households, concert halls, music conservatoriums, hotel and broadcasting studios for decades. Challen. A name closely associated with the British Broadcasting Corporation for over 30 years. Where excellent tonal quality, reliability and consistency in performance have made it the British piano of the British Broadcasting Corporation; and won it the much coveted "Royal Appointment Award" for product excellent. Within lies the secret of its success, extra heavy vacuum-processed grey cast iron with steel additive to permit high string tensions to be used. Strings of the highest grade German "Roslau" nickle plated steel piano wire with bass solid copper windings. A sculptured sounding board of selected Rumanian pine or Sitka spruce for better resonance. Well-balanced keys, ultra-sensitive mechanism and high density Royal George wool-covered hammers perfectly translate player's touch to exquisite tones. Altogether, these qualities have brought about a superior product of unexcelled performance, quality and durability. 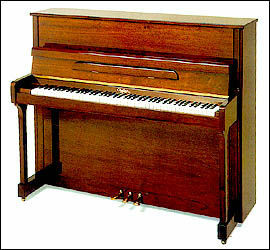 Today, more than 193 years later, the reputation of Challen pianos is still ever-present and Challen pianos continue to be greatly sought after by pianists the world over. The successor to the renown "Challen" mark is proud to play its part in maintaining the heritage that began in 1804. Challen. A name to be remembered and a precision musical instrument to be cherished. Discover the Challen experience today. The Most Exclusive New Build-in Quality Features to Satisfy Even The Most Ardent Pianist. 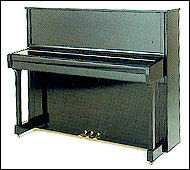 Continuously refined since being introduced a decade ago to tailor to the needs of serious students and pianists alike, this classical model has since gone through various refinements which resulted in a warm, dynamic and sonorous sound from its rich, powerful bass all the way up to its brilliant treble. The Standard, in Performance, Tone and Craftsmanship. 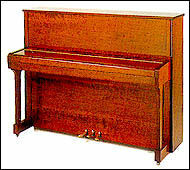 This beautiful instrument in the ever popular and timeless European design has tremendous tonal dynamics and range. Solidly built with four back posts and a large soundboard that is sculptured and braced with dumb bars, the tonal qualities produced is unbelievable and one has only to play on it to appreciate it fully. 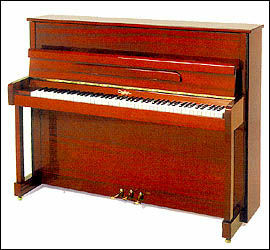 Excellent quality inside and out this model comes in a wide choice of top quality wood veneers. Joined together by expert craftsmen it form patterns of ever lasting beauty.